A screenshot of the bobcat known as B-332, taken from a National Park Service video. The bobcat died after ingesting high levels of rat poison, the Park Service said on March 30, 2017. 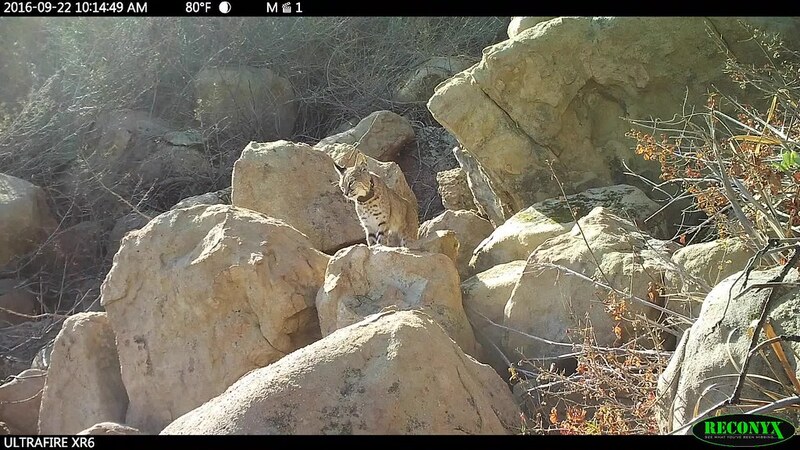 A bobcat that died last December in the Simi Valley area ingested rat poison, the National Park Service has determined. In a statement released Thursday, the Park Service said it suspected the presence of rat poison even before the animal died, based on its appearance. A necropsy later revealed that the liver of the bobcat known as B-332 contained an unusually large mixture of toxic compounds and internal bleeding. "The only thing that's unique about this case is the high levels of poisonings," Joanne Moriarty, a wildlife ecologist for the Park Service, told KPCC. "We've seen it a lot [in bobcats], but he happened to have particularly high levels — he'd gotten into quite a lot of it." In December, Simi Valley residents spotted 3-year-old B-332 wandering around a residential area, looking sickly, Moriarty said. The battery in B-332's tracking collar had recently died, and the Park Service had lost track of him, she said. When residents approached the bobcat, he didn't flee or move much. "From that, we knew he was quite ill," Moriarty said. Animal control officials collected B-332 and took him to one of their facilities, where a veterinarian examined him. From that examination, the veterinarian determined B-332 had a severe case of mange disease, and decided to euthanize the animal. "[The vet] felt [B-332] would not recover from the condition he was in," Moriarty said. Cases such as B-332's are a reminder that rat poison remains a deadly threat introduced by humans to the ecosystem, Moriarty said, adding that she hoped the bobcat's death inspires residents to find alternative means, such as fencing or electric traps, for managing rat problems. "My intuition is to say we've seen more mange death this last year," Moriarty said. "Cases like this continue to tell us that household rat poison is penetrating the ecosystem with deadly consequences." 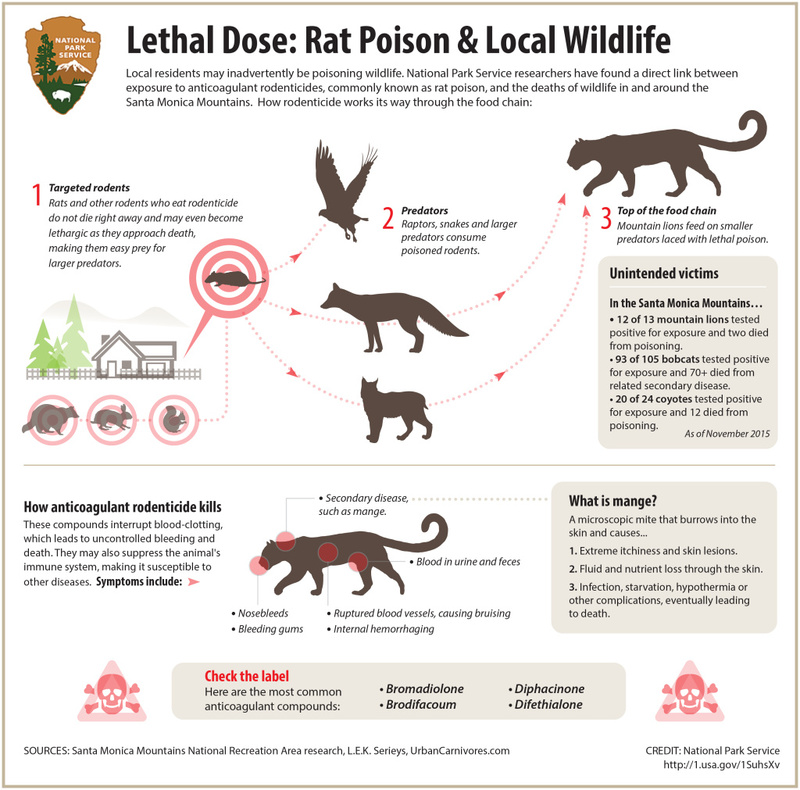 In 2014, California restricted the sale of some types of rat poison, but the toxins remain widely used by licensed applicators, the Park Service statement said. The poison, initially ingested by rats, works its way up the food chain into the systems of coyotes, mountain lions and bobcats. 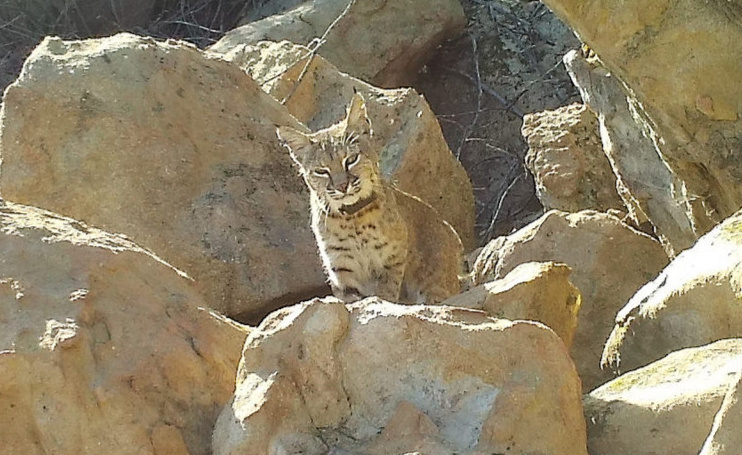 In an ongoing study that began in 2002, the Park Service has found rat poison in nearly every bobcat living in and around the Santa Monica Mountains that it has analyzed. How rat poison moves through the food chain and gets into the system of larger mammals and predators, such as bobcats.